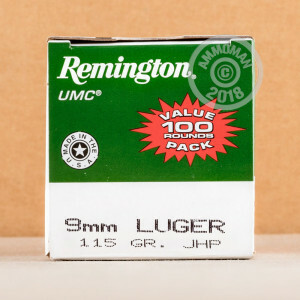 This 9mm cartridge from Remington’s UMC line of ammunition is optimized for personal protection courtesy of its 115 grain projectile, the bullet weight most frequently recommended for self-defense by experts in the field and which is utilized by the president’s own bodyguards. 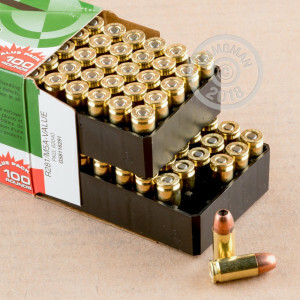 This hollow point bullet will mushroom reliably in soft targets courtesy of its just nearly supersonic muzzle velocity as well as its hard jacket, which controls the rate and direction along which expansion takes place. That same jacket assures this round will cycle smoothly in a semi-automatic, and also facilitates penetration through barriers including thick fabric. 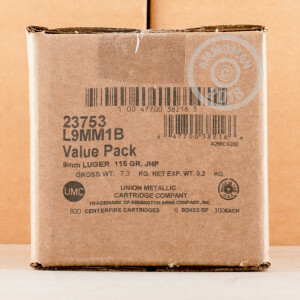 UMC can present so cost-effective a shooting solution because the subdivision only manufactures ammo according to Americans’ most preferred specifications. That lets them focus on a very select range of products, giving you enhanced value without cutting corners that would make their ammo less effective should you ever have to rely on it.